The human body is an incredible piece of design. How we manage to do half the things that it enables us to do is really still very surprising to me. It does however have its limits. As someone who has suffered severe neck pain as a result of an injury sustained whilst moving the world’s heaviest lounge up a set of stairs, I am only too aware of these limits and the consequences of pushing them too far. A prolapsed disc in my cervical vertebrae was the result. I have to say, acupuncture and Chinese herbs were really the only things that gave relief. The cervical joints play the role of intermediary between the head and the body. They do an awful lot of work that we take for granted. That is, until something happens which compromises the joint ending in something like a bulging or prolapsed disc. In my case, I had terrible searing pain right across my posterior shoulder and scapula that then traveled all the way down my arm to my fingers. As an acupuncturist and masseur, clearly I need full use of my arms. So what to do? It was a bit of a no-brainer really. 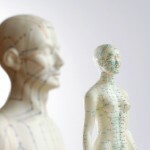 I have had great faith in acupuncture for a very long time and have seen it work well for many patients. So, I decided it was my turn to be the patient of course. My program to help recover consisted of bi-weekly acupuncture treatments for a month or so, as well as Chinese herbal therapy to further reduce pain and inflammation. I used Chinese liniments to help move stagnant Qi and Blood in the channels around the neck and arm. The liniment was my other best friend for the first couple of weeks – in my opinion, far superior in pain relief to some of the non-steroidal anti-inflammatories (which I did try!). The benefit I have to say was felt fairly quickly – within the first week. Within two months I had no pain what so ever and full range of motion and strength to the affected side. I have not had any imaging done since the accident, but 2 years on and I have had no further issues and have been involved in my usual exercise routine of gym, swimming and some yoga ever since. If you’ve suffered an injury and are looking to supplement your existing recovery program, why not call Ginseng to see I can help you speed up the recovery process. Below are two abstracts detailing the effectiveness of acupuncture for neck pain and whiplash injury. 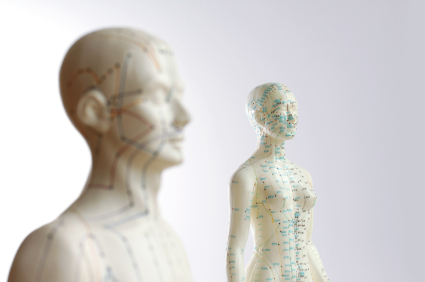 The links following the abstracts are to the site to which I subscribe – a database of current and recent research articles published using acupuncture and Chinese herbs.